In many of our research activities, DST works closely with universities to deliver technology-based solutions to Defence. University collaboration is core to our strategy to build on our strength of being a valued advisor to government and to focus our efforts towards future Defence and national security capability. We leverage world-class capabilities both in Australia and internationally, through strategic alliances and partnerships. Partnerships enable us to take a stronger role in integrating knowledge and best practices to deliver innovative outcomes. All DST's engagement with universities is undertaken under the Defence Science Partnerships (DSP) program. This program provides a common pre-agreed framework under which Australian universities can work with DST. It provides for all types of engagement including contract and collaborative research, post-graduate student projects and the sharing of facilities. Thirty-two universities have so far signed up to the DSP agreement. DST also has existing/legacy agreements in niche areas with a number of Australian universities, including those below. For more information about Defence Science Partnerships, please contact our Technology Partnerships Office. The Centre for Food Innovation (CFI) is a partnership that aims to help diversify Tasmania’s economic base by growing exports of high-quality, nutritious, value-added food products. The Centre of Expertise in Energetic Materials (CEEM) brings together the characterisation and synthesis capabilities of Flinders University and the energetic materials expertise and infrastructure of DST Group. The Centre of Expertise in Physical Employment Standards is assisting the Australian Defence Force (ADF) to develop performance standards that accurately represent the physical requirements of ADF roles. 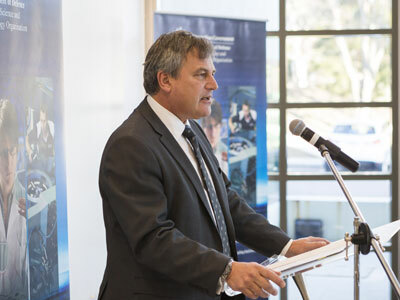 The Defence Science Institute (DSI) is a collaborative research initiative of DST Group and the University of Melbourne that creates defence science research networks for Australia.